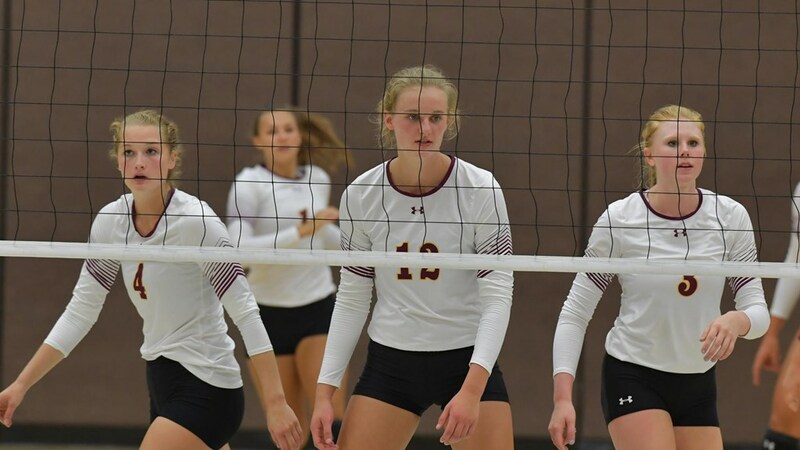 A loss by the two-time defending NCAA Division II champions Concordia St. Paul, and two by preseason #2 Southwest Minnesota State, opened up a clear path for Minnesota Duluth to the top of the AVCA Division II Coaches’ Poll Week 1 rankings, and they took full advantage. A 4-0 weekend, against 4 unranked teams, lifted them to #1, receiving 31 out of a possible 48 1st-place votes. Concordia St. Paul, the team that knocked Minnesota Duluth out of last year’s NCAA tournament, slipped to 2nd with 6 first-place votes after losing to Ferris State 3-0, while Lewis sits 3rd after a 4-0 weekend of their own. Ferris State were the biggest movers of the weekend. After being ranked 21st in the pre-season polls, their crushing win over the defending champions (25-13, 25-19, 25-22), holding the defending champions to just .076 hitting, impressed a number of voters. They jumped 17 spots to #4, including 7 first place votes (most of any team besides Minnesota Duluth). The fact that they had so many first-place votes, and still ranked only 4th, show that some coaches either didn’t notice their dominant victory, or weren’t convinced by it. #8 Southwest Minnesota State and #12 Wheeling Jesuit also received first-place votes after week 1. While week 1 of Division II play resulted in a significant rankings shakeup, with so many of the divisions volleyball powers concentrated ina few small geographic regions, teams still have a chance to ‘prove it’ on the court. #1 Minnesota Duluth and #2 Concordia St. Paul, for example, still have regular season battles upcoming on October 3rd and October 20th. Duluth also plays SMS on October 5th. 17 teams mentioned on only one ballot for a total of 79 combined points.